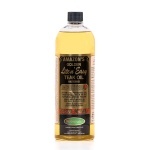 Purpose: Helps to protect teak wood against food and drink stains. Almost invisible teak wood penetrator that makes it difficult for wine, olive oil or butter to seep into teak. 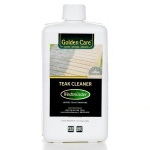 Helps to prevent stains while keeping the natural look of the surface. Designed for optimal penetration into dense, low-porosity surfaces. 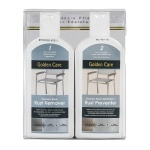 Suitable for the protection of indoor wooden furniture. 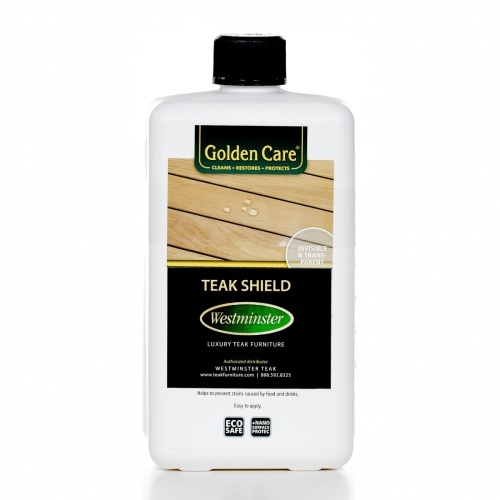 Product ensures that after a meal, your Teak Furniture can just be wiped with a damp cloth, without any nasty stains remaining. Extremely suitable for the protection of teak furniture being used indoors. Teak Shield is usually for, but not exclusively for, the inside. 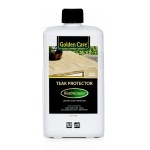 If you want to protect teak from the elements outdoors, then Golden Care Teak Protector (30101) should be applied first. The 1 Liter bottle will protect approximately - (1) Dining table top and bottom plus (8-10) chairs. Click here for material safety information. Time will tell on this product. I just applied it about 3 weeks ago. Very easy to apply, and even after one coat I could tell that my teak and the grey wash I had applied were protected. I did apply a second coat, but I don't think I really needed it. Nice smooth finish. The best!! Looks brand new and I am VERY HAPPY with the results!!!! !